Afternoon Loverlies! I have been a little frustrated lately. I just want to write about it. lol I shouldn't let folks upset me, but sometimes it does just get under my skin. The issue is, being looked down on if you read Young Adult/Children books etc. Who cares if I read these books? I just love the stories that these authors come up with. ;) Another point, most of these authors are not Young Adult so what does that say for them? I think it says nothing. I think they are awesome to come up with these stores for us to read. Sadly there are folks who view it differently. They make you feel like you are not as literate as they are, because you read books in these younger aged categories. I don't understand why people like to say or imply negative words to others. Sad, that the world is like that a lot of times. Negative words will get no one anywhere. Why can't we all be positive to each other? 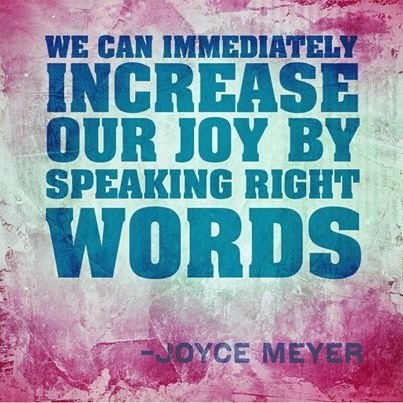 Positive words help others and brighten their day. Even if it is something as small as "You can do it!". 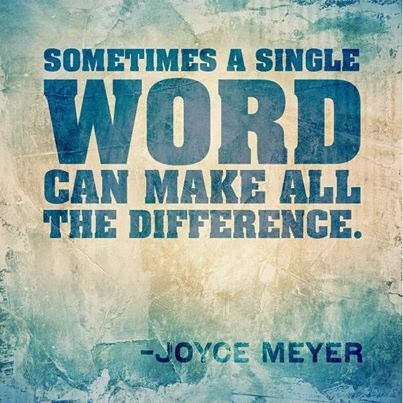 Those words can help someone climb the mountains they were just dangling from. I think we should all find one person per day, or maybe more then one person, and say something positive to them. You never know, that person could be just dangling for hope and that one positive word can change everything. That would be amazing!! 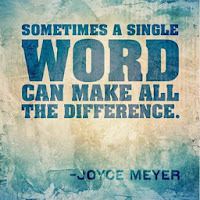 I follow Joyce Meyer Ministries on facebook and they just recently posted, "No matter what anybody says to you negatively, you can overturn what they say by speaking positively because you have more power over your life than anybody else does.". This is Very True!! I want to share some of their photos they have been posting recently. I think they are awesome! We should put them in places on sticky notes in our house. That way we remind ourselves how much our WORDS and ACTIONS effect people. 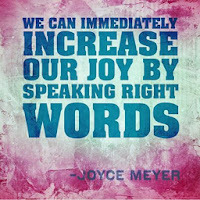 SPEAK POSITIVE!! :) Ta Ta For Now! A chalkboard print I made to remind me, nothing is wrong with me. :) I can read whatever I want!